Size of this preview: 800 × 450 pixels. Other resolutions: 320 × 180 pixels | 640 × 360 pixels | 1,024 × 576 pixels | 1,280 × 720 pixels | 2,816 × 1,584 pixels. 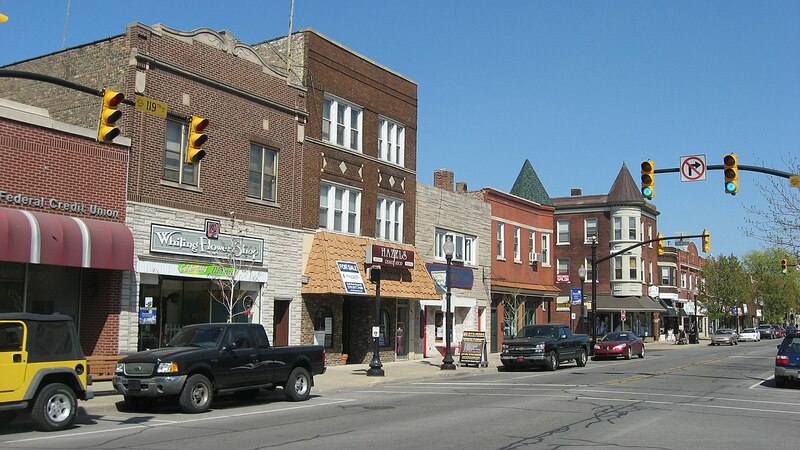 English: Buildings on the northern side of the 1300 block of 119th Street in Whiting, Indiana, United States. This block is part of the Whiting Commercial Historic District. Most of the pictured buildings were built in 1925.